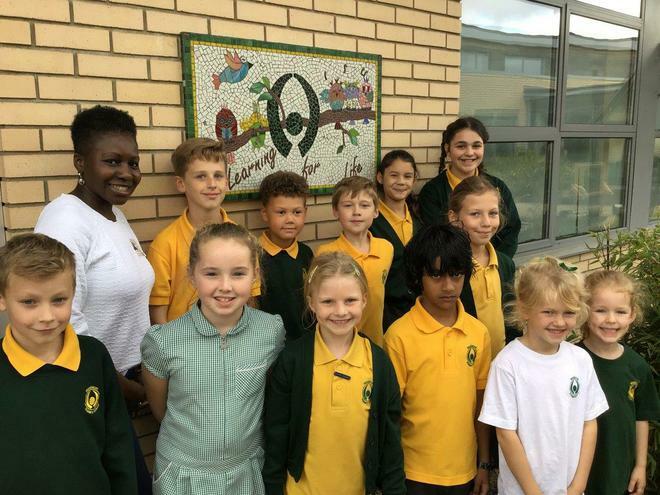 Last week we were delighted to take possession of a specially commissioned piece of artwork, that had been created for our recently developed outdoor area. 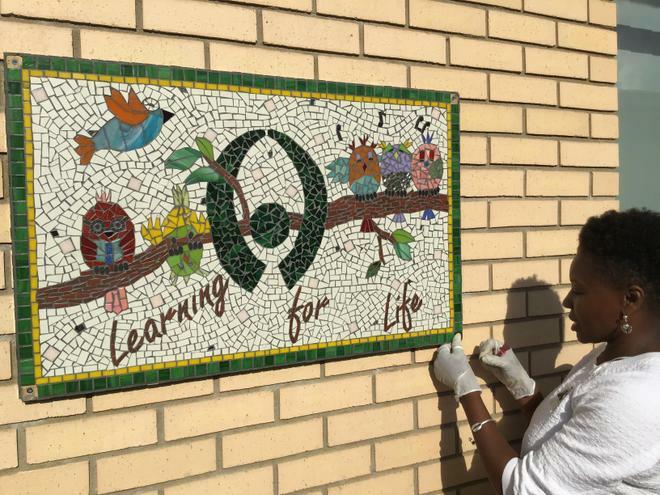 The piece was designed by mosaic artist Dionne Ible, of Qemamu Mosaics and created in collaboration with children from across the school. After sharing the design process and explaining her work to the children in assembly, the whole school was invited to input ideas for the design. Dionne then took these away and incorporated them into a piece that would reflect our Middleton School values and our love of learning. 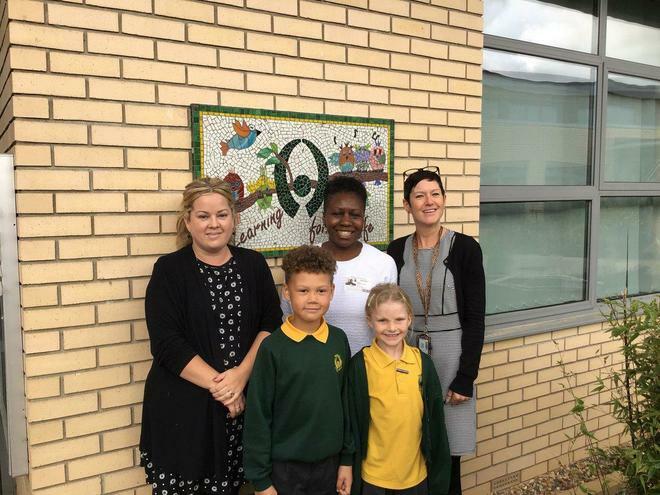 She then visited the school across several days, to work with the children to build the mosaic. 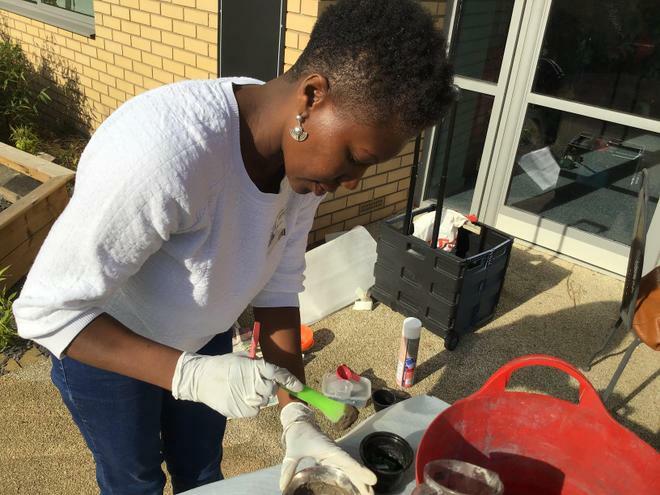 After finishing the mosaic, she came back to ensure that it was installed and shown off to its best advantage. We are also extremely grateful to the Friends of Middleton who were able to add funding to the project.